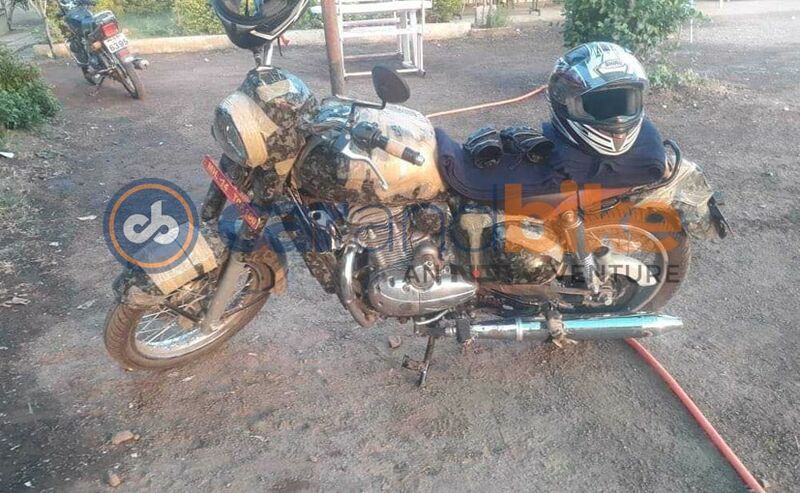 Ahead of its official unveil on November 15, the first test mule of Jawa's upcoming 300 cc motorcycle has been spied. Czech motorcycle brand Jawa is all set to make its comeback to the Indian market and the bike maker has earmarked November 15, 2018, as its big day. Ahead of the official unveil next month, the first test mule of Jawa's upcoming 300 motorcycle has been spied on road and it does keep the retro body very much intact, under all that camouflage. While little is known about the motorcycle including its name, Jawa has revealed details on the engine that will power the new motorcycle. It is likely that there will be more than one bike powered by the 300 cc engine from the brand. The new Jawa 300 cc motorcycle spied certainly looks like it is preparing to take on the Royal Enfield Classic 350. The retro-styling looks very much in-line with the classic Jawas. Small details like the chain case, rear suspension cover and the single-round headlight are all retro and bring the vintage feel to the otherwise modern bike. The fuel tank also appears to be large, which should make for an respectable touring range. The single-cylinder engine is the same as the one unveiled in images earlier this year and fits rather well. While details haven't been revealed yet, the Jawa 300 motorcycle is likely to feature telescopic forks up front and a gas charged twin shocks at the rear. The bike also sports a front disc brake while the rear gets a drum brake setup. The bike rides on what look like 18-inch spoke wheels with MRF tyres. It's not confirmed if ABS will be available at the time of launch, which we hope is the case. With respect to the powertrain, the upcoming Jawa bike will be using the 293 cc single-cylinder, liquid-cooled, fuel-injected engine tuned to produce 27 bhp and 28 Nm of peak torque. The motor will be paired with a 6-speed gearbox. The Jawa brand is owned Classic Legends Private Limited, which in turn is owned by the Mahindra Group. The company is eyeing the premium motorcycle market with the Jawa brand, which will be sold alongside the Mahindra Mojo. Prices are expected to be in the vicinity of ₹ 1.5-1.75 lakh (ex-showroom). More details on the brand's positioning, sales and marketing will be available in a fortnight from now. We will be bringing you complete details soon, so stay tuned!